NJ Mayors who are turning Obstacles into Opportunities were featured at the October 19, 2016 seminar. Read more at Real Estate NJ. NEW TOOLS FOR NJ MUNICIPALITIES: Partially funded by NAIOP NJ, PlanSmart NJ's "Guide to the Future" is designed to equip NJ municipalities with the tools they need to address specific stranded assets in their communities. 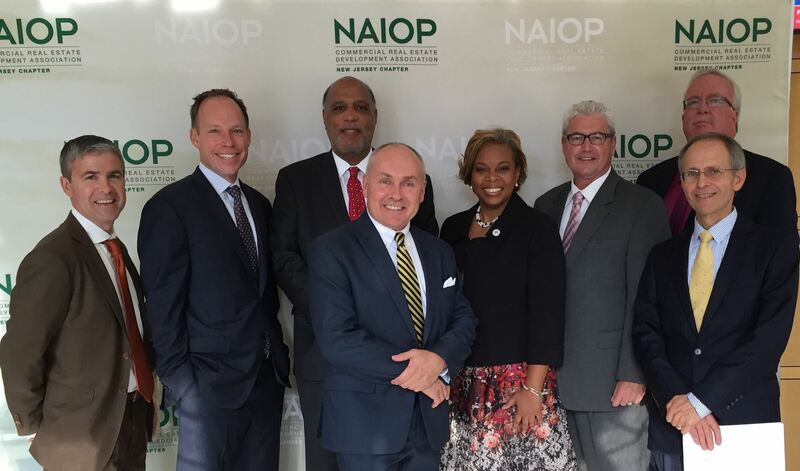 The Members of NAIOP NJ are committed to partnering with local leaders to create outstanding live/work/learn/play environments that are magnets for the employers, investments and young professionals New Jersey needs to prosper and grow. Commercial and industrial real estate creates jobs and brings work places close to families. We contribute billions in local spending and infrastructure improvements, increase the tax base, and reclaim blighted, disused and contaminated areas, returning properties to productive use and chasing out crime. 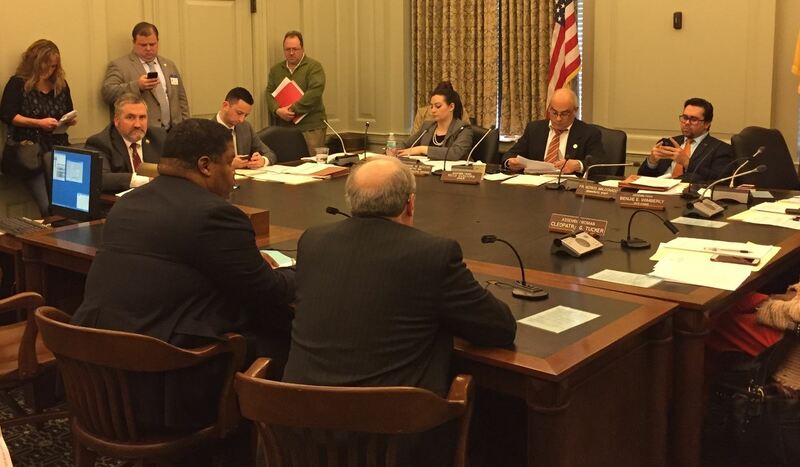 Commercial and industrial buildings pay 20% of NJ’s property taxes. In partnership with municipal leaders across the Garden State, NAIOP NJ members are inspiring and transforming our state to support a thriving economy. 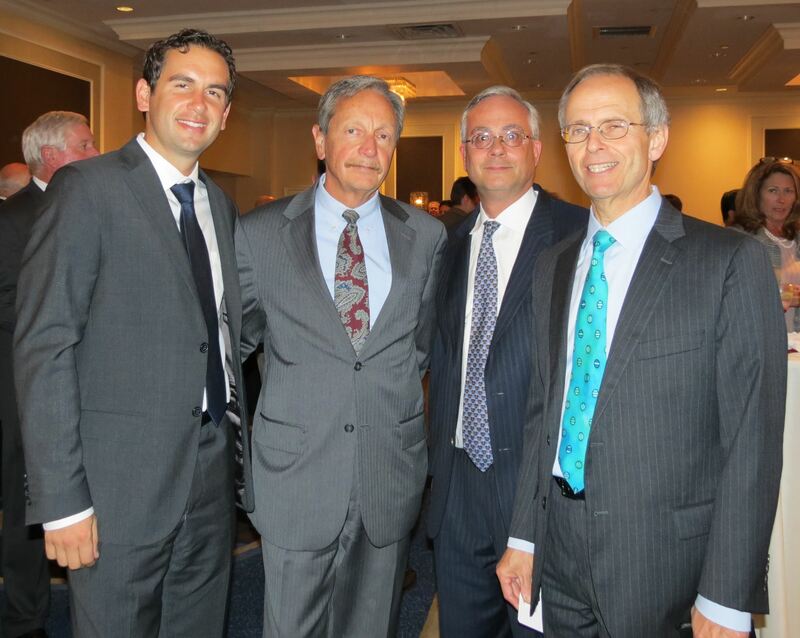 Watch the video: NAIOP NJ Inspiring and Transforming New Jersey. 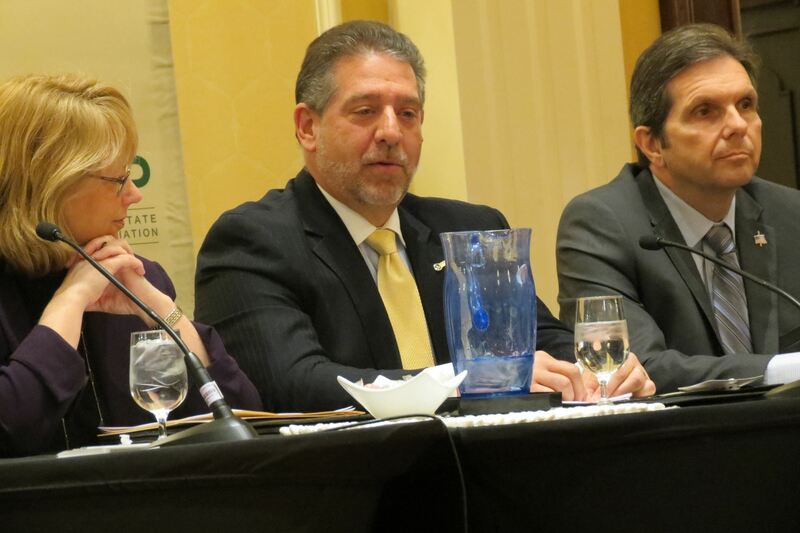 Read "Partners in Change" in the February 2016 issue of NJ Municipalities Magazine. NAIOP NJ's public policy priorities include legislative, regulatory and legal actions that improve our ability to: clean and redevelop disused and contaminated sites; re-purpose (or replace) antiquated and underutilized suburban office spaces; create and attract good-paying jobs; and support our transportation, distribution and logistics industry. NAIOP-backed initiatives such as the Economic Opportunity Acts of 2013 & 2014, the Building Our Future Bond Act and the Licensed Site Remediation Professionals Program are transforming landscapes and creating opportunities in towns across NJ. Current initiatives include reforming antiquated liquor license laws to create more opportunities for local restaurants. Public Policy Symposium: Local Officials are encouraged to attend this interactive program which tackles issues such as changing demographics, adaptive reuse, regulatory reform and making NJ competitive for jobs and investments. 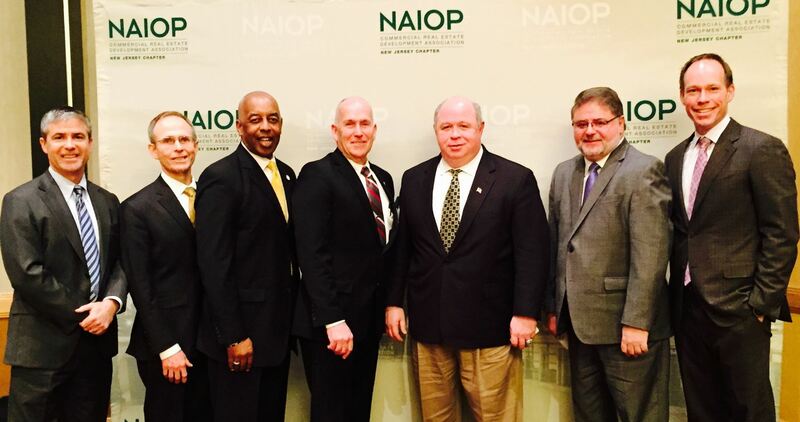 Panelists at this annual event and other NAIOP programs have included Mayors from Trenton, Hackensack, Parsippany-Troy Hills, Wayne, Middletown, Robbinsville, Summit, Jersey City, Newark, Woodbridge and Perth Amboy. League of Municipalities Program: Presented for the past few years, the NAIOP-inspired "Dinosaurs to Diamonds" themed panel draws standing-room-only attendance for an informative discussion on transforming stranded assets. 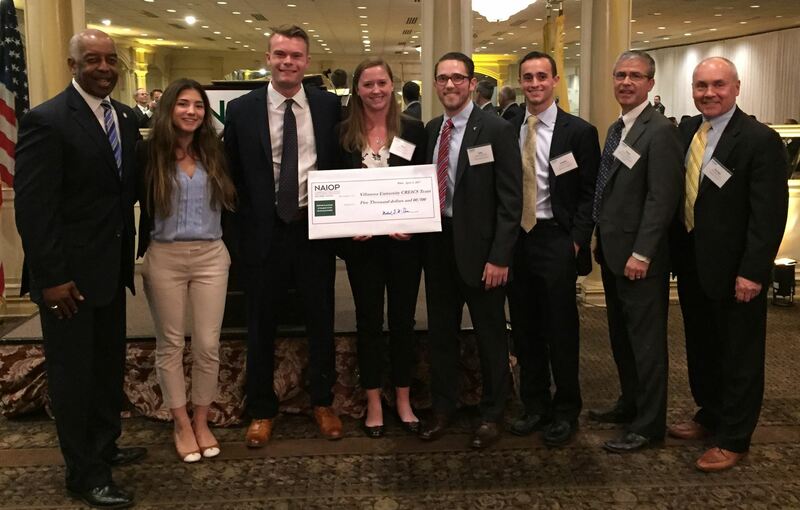 Collegiate Competition: Our annual Commercial Real Estate Intercollegiate Case Study Competition includes Mayors on the judging panel. Attend the Spring CREICS dinner to learn how future professionals will tackle redevelopment challenges. Economic Impacts of Commercial Real Estate 2018 Edition Read the report by Dr. Stephen S. Fuller for the NAIOP Research foundation. Economic Impact of Port Industry on NJ: Done every two years, the report tracks the growth in cargo handled, jobs, tax revenues, personal and business income in the 31-county region. This area includes 12 counties in New York, 15 counties in New Jersey and 4 counties in Pennsylvania’s Lehigh Valley. The number of jobs tied to the port has grown by nearly 17% over the last two years, with a 9% growth in the number of twenty-foot equivalent containers (TEUs), and nearly a 20% increase in the growth of federal, state and local tax revenues. The report is available on the NYSA website here. Public Policy Symposium, March 15, 2019.